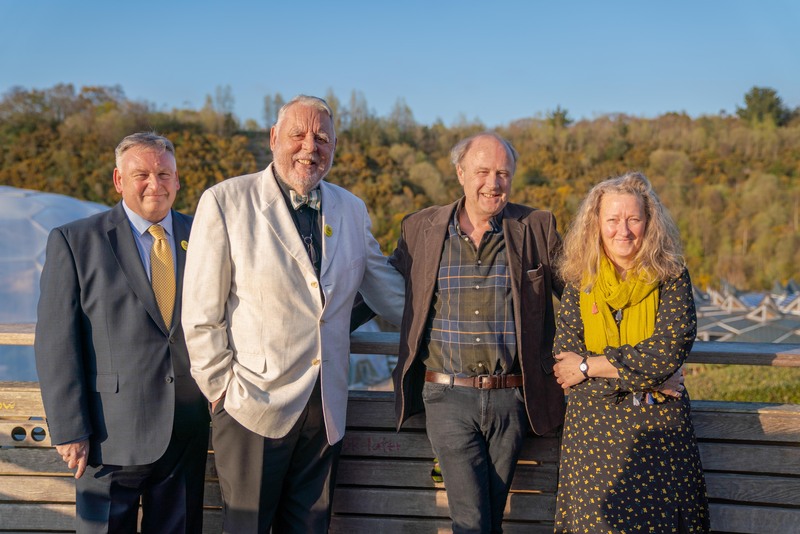 A gala dinner at the Eden Project last evening heard how a new centre to provide accommodation and work for homeless people is to be established on the Eden site. Eden is working on the plan alongside global charity Emmaus, with the support of fellow homelessness charity St Petrocs. Emmaus has 29 communities in the UK, where it provides a home, work and training for homeless people, known as companions, as they develop the skills and confidence to rebuild their lives. Such a community at Eden would be a first for Cornwall. Eden has a long history of working with homelessness charities, including St Petrocs, which campaigns to end street homelessness in Cornwall. The fund-raising dinner featured four top speakers, Sir Tim Smit, co-founder of the Eden Project; Terry Waite CBE, president of Emmaus UK; Steve Ellis, chief executive of St Petrocs; and Raynor Winn, author of the best-selling memoir, The Salt Path. Sir Tim spoke of the power of bringing ordinary people together to create something extraordinary. Terry Waite, humanitarian, author and inspirational speaker, has been an ambassador of Emmaus for more than 25 years. He spoke of the loneliness and isolation he felt while being held hostage for five years in Lebanon. He described homelessness as one of the scandals of our age.